You had been a fire-brand in the frontline of politics for the past two decades and now your dreams may have come true, but not ours. You got a big mess to clear up. The crucial sector that you are now responsible of needs total clean up, irrespective of their professional status. May be in that case yours, too, may be still a dream. As citizens, or rather as patients, we are totally fed up and loss confidence of the health sector – whether it is state or private. The story of the status of the state run hospitals is nothing new. We know it is an ailing sector. But how come the private sector too becomes an ailing sector with serious concerns. The accusations are not only on the private hospitals, but on their practitioners as well. Let me tell you some stories first. My wife and I were waiting for a doctor at a channeling section of a Colombo leading private hospital recently and accidently happened to observe the conduct of another doctor who has already begun consultation in an adjoining room. With the noticeable rapid frequency of patience in-and-out of the consultation room, we decided to monitor the time per patient. This particular doctor who deals with an extremely important organ of the body finished 20 patients in less than 30 minutes. Imagine..! Less than two minutes per patient, many of them carrying MRI and various other types of medical reports. What a genius this particular doctor should be. The story does not end there. After seeing the patients the doctor commenced entertaining some medical reps and more time were spent with them than with the patients. It was barely 4.30 in the evening. While this was happening a father clad in a national dress along with his daughter who looked like the patient hurried towards this particular room. I assume their number has already passed with this particular doctor, not due to their fault but the doctor has finished the patients early as it was a marathon run. The nurse informed the doctor about the arrival of this patient. “I have finished seeing the patients here, ask them to come to the other (she named another private hospital in Colombo city) hospital at 7.” The poor father and the daughter who had come all the way from Anuradhapura had no clue about the other hospital. They reached us for help. This poor farmer surely had to purchase another appointment to see this doctor at the other hospital. Nevertheless, the doctor spent another 15 minutes with the medical reps after returning that poor farmer – who certainly would have contributed to the free education of this particular doctor – to the next destination of consultations. I am not sure whether there is a minimum timeframe that a doctor should spend with a patient according to their Code of Conduct – or who determines this matter. Last week I took my father-in-law to see a doctor and we managed to meet him after almost three hours of waiting. The time of the appointment mentioned in the receipt was 4.36 pm and when I raised the issue with this particular doctor, he was professional enough to accept it and contacted the hospital management as to how this timing issue comes on to the appointment receipt. He was shocked to realize that the time allocated per patient by the hospital was only three minutes – where he demanded at least 10 minutes. On another occasion I was visiting one of my friends who was operated at another private hospital. All of a sudden a face peeped through the door and yelled “You are OK now isn’t it? Don’t worry, everything is OK, ha,” and vanished. I asked my friend who it was – Oh God..! It was the doctor, and that was his style of daily visit. A thumping amount would appear on the bill for doctor’s (such) visits, though. A couple of years ago we admitted one monasterial Buddhist monk to the national hospital with some breathing issues. A particular doctor was trying to market a highly expensive breathing machine to the monk that will be fixed to his body lifetime. Some of the monk’s Dayakas who happened to be doctors themselves suspected this move and discouraged the attempt. “Don’t worry, the monk has rich Dayakas” claimed to be the comment from the suspected culprit. I am sure the readers would also have many such stories to share, but who would dare to make your own guardian upset by protesting against this conduct. But I think the situation has exceeded its own limits now and it is high time that we should not keep our mouths shut. Give a good service to the amount you charge us, we should be able to tell our own doctors. On the other hand it is a pertinent question to ask whether the doctors follow their Code of Conduct to the letter. I have my serious doubts. There could be a few, in fact we know some of them who are totally opposite to the caliber that we are talking about here, but they are the tiny minority. There are some good doctors that would not fit into this category of ‘mafia,’ who maintain a good relationship with their patients by providing a service that goes beyond the value of money. In the state sector, we frequently hear stories of historic operations under dying circumstances to save lives of the poor with utmost dedication. They are not forgotten here at all. Recently there were media reports on a court case where Sri Jayawardenepura hospital administration has taken action against a doctor after a series of demises of four patients one after the other due to negligence. Could it only be the wrong doing of the particular doctor? How on earth the administration waited until the loss of the fourth life, as it was not just one or two. Where is the Medical Council? Why not GMOA take a stand on such professional issues of their members without confining themselves to petty issues of trade union matters? Where is the morality? Where are the values? Please do not forget we are talking about one of the supreme and highly respected profession in our societies. Do we have to go to Geneva to talk about crimes against humanity? I don’t think so, just go to a private hospital in Colombo, you can see plenty. Look at the recent historic judgment against Lanka Hospital for forcibly keeping a dead body of a patient for not paying the dues. How come a sector with humanity, kindness, empathy and compassion conduct such an inhumane act? As the judge correctly pointed out, where is the respect to the dead body? Where is the respect for humanity? Also hats off to the Narahenpita Police that took the matter to courts seeking justice for the deceased. Remember, another private hospital detained an under-age girl until the bill of her critically ill mother was paid? Aren’t these incidents provide clear case studies on crime against humanity? Apart from the decisions of the court, what kind of measures that we can expect from your ministry on such errant private hospitals, Hon Minister? I am aware of a body where these private hospitals are being monitored or regulated probably that comes under your purview. But is it yet another dead body? Do we hear of its actions on these massive acts of violations of fundamental rights of the patients by these private hospitals and their practitioners? I think we need a better monitoring system to regulate these private doctors and hospitals. When we say system to regulate, that should include a sound system to entertain and inquire public complaints. One simple example – Just visit any canteen or restaurant of any leading private hospital in Colombo and look for healthy food – or at least a cup of tea without sugar. That does not exist there. The place that should maintain high health standards would sell the most unhealthy food that includes machine-produced tea or coffee with the maximum amount of sugar. Who monitors them? Probably the proposed Right to Information Bill could include these sectors as well, as in the case of Pakistan where private institutions that provides services to the public are also bound by this particular law. Though they are running a private business, it enjoys tax concessions and such benefits at the expense of poor tax payers. The crux of the matter here is that the health sector in Sri Lanka – whether public or private – is yet to become a patient centric system. We are still in the colonial conservative mindset of doctors centric health sector. Thus, we never question them and they run their own systems as they wish. Doctors are God-send to us, actually that is how it should be but they should know how to maintain that respect. Though money is the most sought after element in all these incidents, by far the most valuable currency in this game will be trust. Respect will be a value addition. Thus Mr. Minister, please act on behalf of poor patients as they are suffering in both private and public health sectors. I am afraid the solution is not simple to this huge mess. There are very hard working and decent doctors, but there are also criminal doctors. The problem is that these criminals have very high IQs so they know how to sabotage any reform to put things right. I think we need to start from scratch: medical ethics should be included in the medical student’s curriculum and so on. Teaching ethics is never enough unless there are effective instruments to identify unethical practices and punish promptly and severely. Unconscionable charges for essential services such as healing should surely be counted as seriously unethical in this SOCIALIST Republic. President Gamralage Sirisena who is trying to control the Elite , Anglicans and the Vellalas who in fact won both elections, wouldn’t have time , although he ran the joint for good ten years as the health Minister and part time Defence Minister. 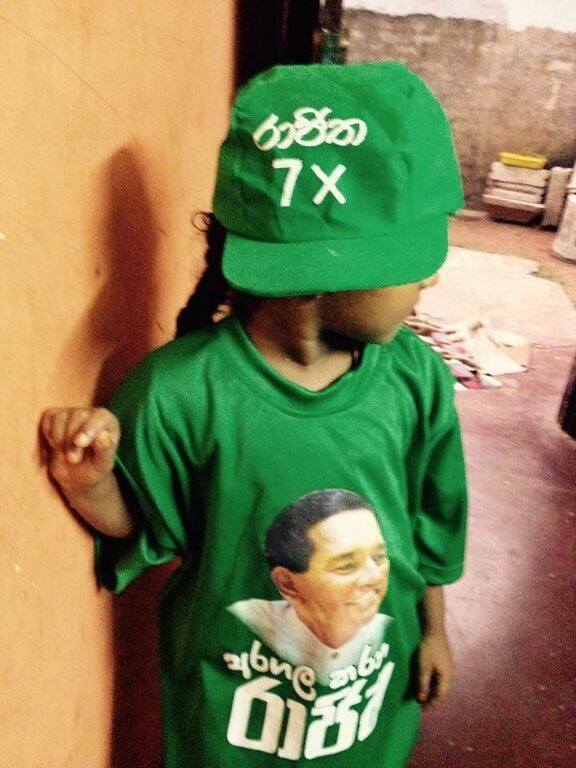 Is Dr Rajitha up to it?.. Only the Elite can answer it, because our Dalits don’t have anything to do with him anymore. 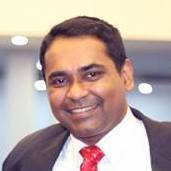 Mr Kalansooriya has brought up a very good real time Humane issue. 20 patients in 30 minutes is pretty good turn over considering these patients have serious illnesses to seek the help of these Specialists. If our Dalits in Ranil’s German car factory produce this sort of productivity,VW may even pay them a bonus. Is it moral for these Doctors to rip off the poor sick people in this manner ?. Didn’t these same people fund their education right through to Specialist Level although our Dalits don’t pay much income tax. Hope these Doctors who collect this dosh from poor will walk to Nirwana or any other Kingdom with a clear conscience and a fat bank balance. KAS. The mindless coolly can even stoop to the toilet Cleaner level to highlight his toilet/vulgar/cheap / meaningless comments. He repeats the garbage write ups every time. Little boring you s….of….a…b….h.. Put a nooze round your neck if you can’t write anything sensible. High time someone brought this subject of ” greedy doctors ” in simple words they’re more interested in their bank balances than ones health. They took up the profession to serve the ill and needy but somewhere along they got greedy which can be an irreversible disease. The minister concerned has not got very good track record in the matter I believe , but we all learn by making mistakes. As such the Minister should intervene and try to cure this irreversible disease of these doctors in the Private and National Hospitals. Very recently cancer drugs prescribed for a child patient was stolen from the Maharagama Cancer hospital. So there are professional thieves to steal professionally and ready to let die a patient rather than curing the patient. ” GET RICH QUICK CULTURE” How sad that can be. Thank you Mr Kalansooriya for highlighting the horrible behaviour of too many of our doctors and health administrators. I hope you would continue this campaign with vigour. I wonder if it is possible to get the Sangha interested in this very widespread corruption. Many private medical practitioners in our country are worse criminals than loan sharks, thieves and rapists. They must be named and shamed. In many other countries too, one hears. One reads from Cronin’s book The Citadel about the horrors perpetrated by the famous Harley Street specialists – Cronin was a doctor and he knew. The Citadel has to be breached and you have fired a good canon shot. The problem is that pain afflicts all and these merchants of pain – what else are they? – are able to get into the ears far too easily of all the big and mighty when they are vulnerable! If we respect human rights and insist on punishing human rights violations in such areas where the pinch is felt by all the poor who are in any case the majority in this country, who knows we in this country might slowly learn to accept the need for the punishment of other violators – maybe even violations against minorities? Who was the previous Minister of Health? And who is responsible for the sector being such a big mess? For not passing the National Drugs Bill or doing anything for Kindey Patients? It is actually an issue of few doctors than many I reckon, if it is so timely reminder for everybody concerned, but the author may be correct by virtue, he has visited many hospitals for his observations. A good administration for that matter! 2 Put right and have legislation to supervise private hospitals and pharmacies. 3 Implement the drug policy strictly. 4 Look into the allegation made by the president re the pharmaceutical companies that bribed the previous govt. Fully agree with this write up, Why not the Govt introduce a Medical scheme for all the working public by deducting Rs. 100/ per month but assuring best of medical facilities to all citizens. We have over 33 Lacks of working population and that into Rs 100 per month and per year Ministry of Health will have all that money to provide the best of Medical service to all SriLankans. We can open best of Hospitals in all provinces and if needed bring in foreign medical professionals to help our people. Thank you for highlighting this issue. I went to consult a famous (or notorious) rheumatologist at a leading hospital. He took me in and there was a patient on the consultation bed and he looked at my reports for a few seconds. The other patient got down and I went to the bed. While the nurse helped me to the bed this doctor wrote the prescription for the earlier patient. Doctor came and raised my leg and asked me to get down from the bed and wrote the prescription. At that time he was the most expensive rheumatologist. It took 2 minutes for 3 patients and prescribed me some painkillers. These pills were prescribed by my neighbourhood doctor before. Of course there are very good doctors too but they are an exception. If the health minister starts to clean up, doctors would go on strike and then the Minister has to give up the cleaning process. There must be a rule that specialists can see a patient only when referred to by a GP or a family doctor. Thank you Dr.Ranga for opening the lid to this can of worms;Not a pleasant thing to do so though.Most of them,with very few exceptions,are Sharks.A whole list of unethical practices resorted to by both Private hospitals and these consultants/Specialists will need reams of paper. The Hippocratic oath,it seems,applies only to the Greeks! and bad nurses where all must be equally good to patients. and sheets and carers with them in a free health service. First Off, Hats Off to the writer and CT for bring this to the fore. This is a real issue effecting needy and poor. Italian Mafia bosses, the Colombian and Mexican drug lords are better. But our so called specialists doctors and private hospitals in our country are greedy, blood thirsty, real mafia. No wonder, walk into any of the Channeling centers in the private hospitals, one could see and feel about their dirty actions. I feel the pick pockets are better. It’s high time for the public to act, they would fight the government but not the public for they get their bread and butter from them. If the government not doing it to clean this up, the public SHOULD watch them, and name and shame the dirty. “. Where is the Medical Council? Why not GMOA take a stand on such professional issues of their members without confining themselves to petty issues of trade union matters? The Medical Council and the GMOA exist for the sole purpose of maintaining their “closed shop”. How hilarious it is that they question the qualifications of Russian-trained doctors! They themselves rush to Chennai when they are seriously ill, but don’t want Indian doctors competing with them here. This is one good reason why the CEPA should be signed pronto, if only to let the gas out of these heartless hypocrites calling themselves Doctors. This situation has nothing to do with colonialism.It started when the GMOA arm-twisted the govt into granting the right to private practice. I am old enough (maybe Ranga isn’t) to remember the selfless service provided by nuns in the General Hospital in the late 50’s. But of course why they had to leave is another long story. Very good point. This careful consideration by the government as a matter of priority. The public are tasting the legacy of the culture that was left by the MR clan. What Dr. Kalansooriya says is true. It happens everyday in all private hospitals. The other aspect is the hospital charges levied while waiting for consultations. The current going rate is Rs.500, just for occupying the chair and perhaps may be for using the doctor’s room for often less than five minutes. Isn’t it exorbitant. I have aware of good old devoted professors who charge only Rs.700 while the hospital charge is Rs.500.Most of these specialists who charge punitive rates are those who come from poor families thanks to the free education.They are hell bent of earning in whatever way for their extended families. One fine day I witnessed a two young ladies who came to show the report taken on the previous day. I overheard the nurse telling them that they should first pay the fees and come with the receipt. The two ladies looked at each other and left the hospital probably because they did not have the required money. Many money greedy specialists want to be everywhere and ultimately they are nowhere. They give appointments for the patients to come at 4pm but they only turn-up quite late many come only after 2 hours of the scheduled time. Many patients cannot wait all that long and they get sick. Some are forced to cancel the appointment after waiting in vain for hours to get back home as they are sick cannot wait any longer. Excellent article. Thank you Dr. Ranga Kalansooriya for bringing up this extremely important issue, of which I feel strongly needs to be acted upon. Has there been any progress? Has there been any act on behalf of the Minister since the article was written in September? I experienced this in February earlier this year, with now my late sister who passed last month from Parksinsons. I went to Central Hospital, after spending 7000Rs for the ambulance and the consultant fees, to see a ‘so-called’ neurospecialist. The consultant took merely two minutes to consult my unwell sister, and gave prescriptions with barely a glance. Before we both even left the consulting room, another patient was sent in. I was disgusted at the lack of privacy, lack of patient care and lack of empathy from the consultant towards my unwell sister who was sitting opposite in tears. I felt helpless on how to act after receiving no response when I sent a formal letter of complaint to the hospital. There is no one else to take action and it is the least I can do to support this case for my sister. This article has given me hope that an act will happen.